This research was originally reported in the ASA’s open-access journal Socius, and Mishel’s full paper can be accessed online. Today in America, an employee can legally be fired, not hired, not promoted, or differentially compensated in 29 states because of their sexual orientation, and in 32 states because of their gender identity (except federal government employees). 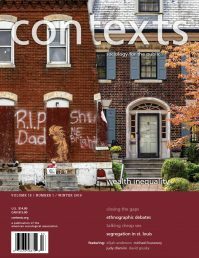 Although employment discrimination against people who are lesbian, gay, bisexual, or transgender (LGBT) has been a recent topic of interest for academic research and public policy, little to no research has focused on hiring discrimination against LGBT (or, queer) women specifically. So I decided to conduct an experiment to find out if out queer women are discriminated against when they apply to jobs in the U.S. I performed an audit experiment, where I applied to more than 800 open administrative, clerical, and secretarial positions across four states/districts using résumés for two fictitious female applicants. The résumés were comparable in qualifications, although not identical. They differed in that one woman listed work experience as secretary of her university’s LGBT organization to signal queer identity, and the other woman listed work experience as a secretary of another, non-LGBT (but progressive) university organization. For each position I applied to with the résumé pair, I recorded whether the employer contacted the queer applicant (i.e., the one with the queer signal), the straight applicant (i.e., the one without this signal), neither, or both, for an in-person interview or telephone interview. Results revealed that overall, the queer female applicants received about 30% less callbacks than the straight female applicants. I couldn’t send employers two résumés that were identical except for name and whether they had the queer signal; this would have made employers suspicious that these weren’t real applicants. Although the fictitious résumés were created to be as equal in qualifications as possible, just in case employers preferred one résumé over the other for reasons other than the applicants’ queer or straight identity, I randomly assigned the queer signal to one woman’s résumé before sending out the résumé pair for each position. This randomization neutralizes the effect of any systematic difference between the perceived quality of the two résumés. Of course, work experience at a LGBT organization does not necessitate queer identity, but using this signal is a “best practices” approach among studies that seek to measure workplace discrimination against LGBT people. In addition, listing a leadership role in a LGBT organization under the Work Experience section of a résumé, rather than listing a LGBT softball league or LGBT reading club in the Extracurricular Activities section, makes the queer signal less likely to evoke discrimination on the basis of accentuating queer identity for irrelevant reasons. I also chose common White-sounding names to avoid evoking any other possible discrimination, such as race discrimination, and I alternated which résumé I sent out first. The résumés were sent within two, days of each other across five different job recruitment websites (CareerBuilder, Monster, Idealist, Craigslist and WashingtonPost) to open positions in New York, Virginia, Tennessee, and Washington D.C. These four locations were chosen as they represent a diverse sample of the United States: Washington D.C. and New York are among the more progressive states/districts, offering most rights and protections for LGBT people, while Tennessee and Virginia are more conservative states, offering almost no legal rights or protections to LGBT individuals. 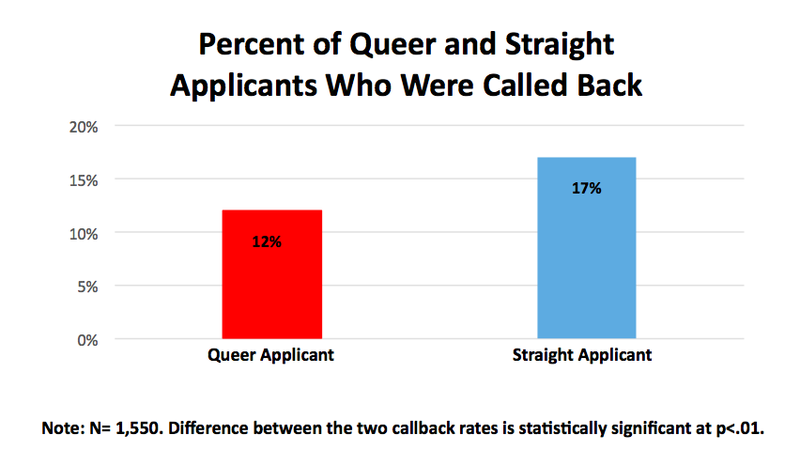 Figure 1 displays results of the women’s callback rates between the queer and straight applicants. The total callback rate was 14%, but when broken down by the queer signal, the straight women had a 17% chance of being contacted for an interview, while the queer women had a 12% chance of being contacted. This is a difference of 5-percentage points, or about 29% reduction for the women with the queer signal. This difference is statistically significant, implying that the queer-perceived women were in fact discriminated against. To further analyze the data, I turn to regression analysis – a way to analyze the difference in callback rates between the queer and straight applicants while holding constant other relevant factors, such as which state/district the job was from, whether that state/district held relevant anti-discrimination protections for LGBT individuals in the workplace, whether the posting was from a staffing firm or a confidential company, whether the job was located in an urban area, which website the job ad appeared on, and which of the two fictional résumés was sent. (Such controls are much less crucial where the independent variable of interest was randomly assigned, and indeed, change the results very little from the simple, observed percents). All models including those with state interactions and anti-discrimination law interactions can be found in the full paper, but a visual summary of my main findings is presented in Figure 2. (More details of my methods and complete descriptive statistics and regression results can also be found in the full paper.) The first column displays the observed rate of callbacks by queer status. The second two columns (Model 1 and Model 2) display the predicted probability of receiving a callback by queer status from two logistic regression models that hold constant the main controls (applicant, job source, whether the job was in an urban city, and whether the job came from a confidential positing or staffing firm), while Model 1 also holds constant which state or district the job ad came from, and Model 2 also holds constant whether the state or district held a relevant anti-discrimination law for LGBT individuals in the workplace. All estimates are displayed with 95% confidence interval bars. 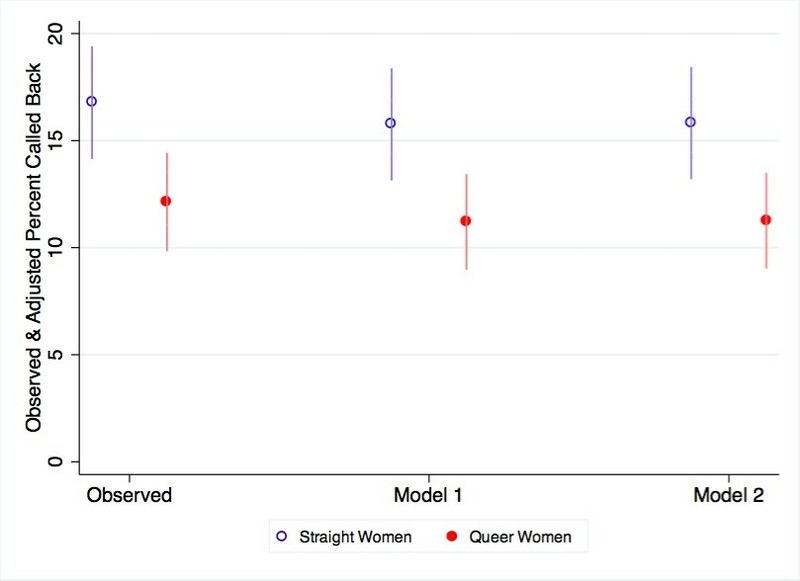 As Figure 2 illustrates, my study found clear evidence of discrimination against queer-perceived women who apply to administrative work in the U.S. compared to straight-perceived women of equal qualifications, and this discrimination rate remains about the same even after controlling for what state/district the job ad came from (Model 1) and whether the state/district held relevant anti-discrimination laws (Model 2). Note: Predicted probabilities calculated from logistic regression results. Bars indicate confidence intervals at the 95% level. Audit studies represent the gold standard for experiments of this kind, in which conditions are controlled and two or more individuals are given similar qualifications and personas, but differ in one observable demographic characteristic (like sexual orientation) and then sent out in attempt to measure discrimination directly. Using the audit method strategically allows for the study of direct discrimination against queer-perceived women who apply to jobs by realistic measures, in contrast to studying self-reports of discrimination from employees themselves, which rely on subjective perceptions. Emma Mishel is a doctoral student in the sociology program at New York University. Her recent research investigates the nature and consequences of discrimination against LGBT individuals.